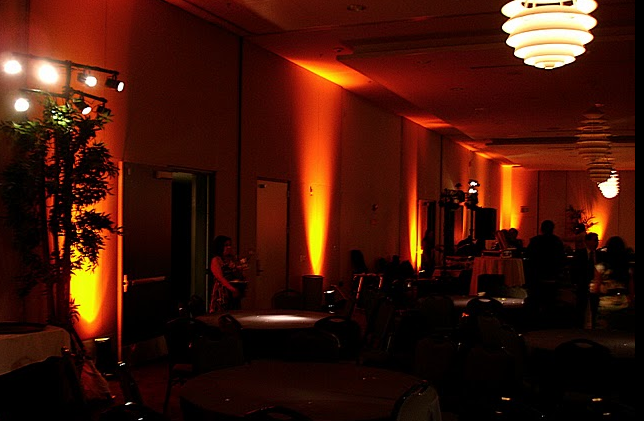 At DJ Element Productions, we use custom lighting to take your event to the next level. 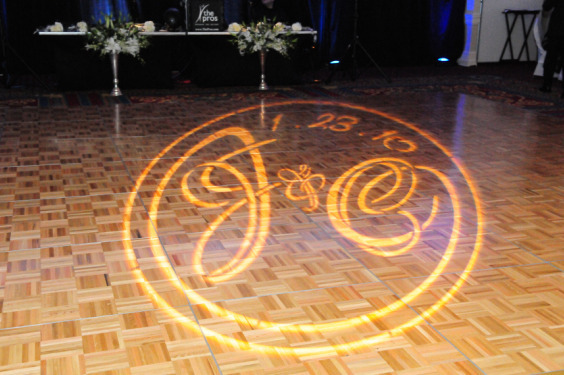 All events will come with our standard dance floor lighting package which consist of multi-color patterns and exciting light sequences. 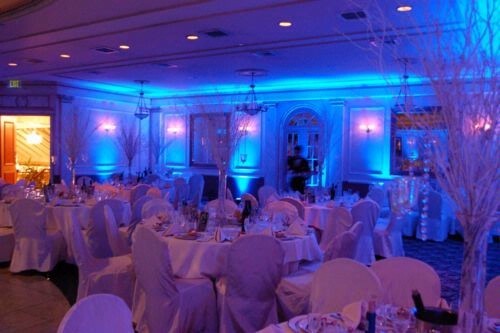 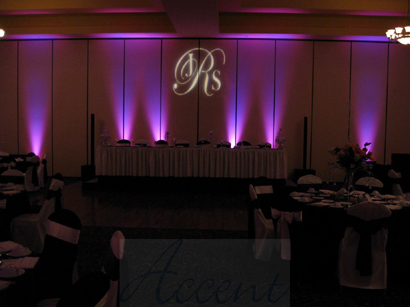 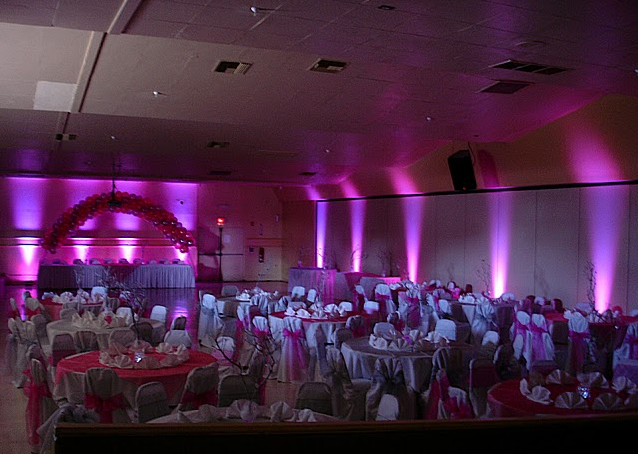 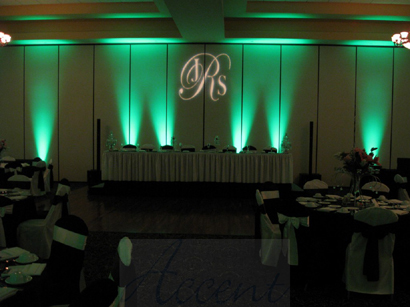 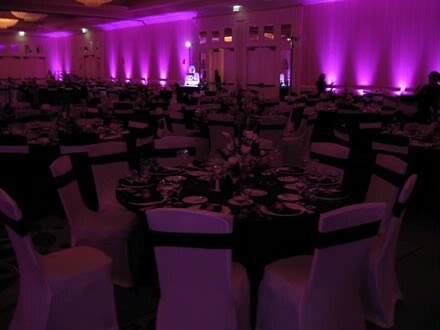 We have optional lighting packages for UPLIGHTING and CUSTOM MONOGRAMS. 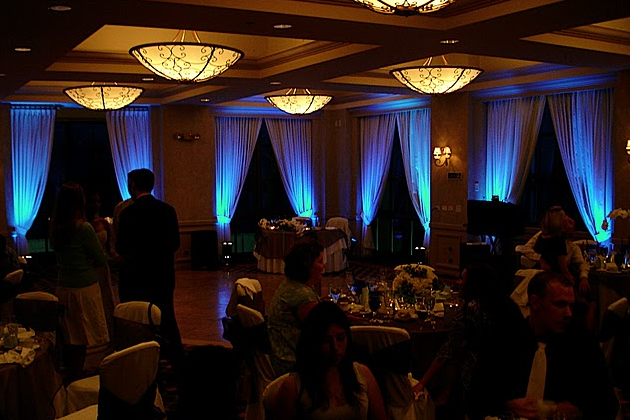 All of our uplighting are DMX controlled, allowing us to systematically match your theme colors and program energizing light sequences when the party takes off. 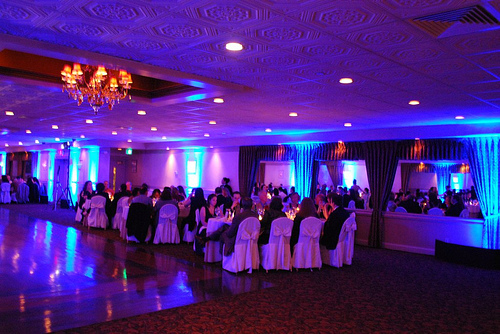 All of our uplights use state-of-the-art LED technology, allowing the lights to be smaller, less discrete, and use less electricity. 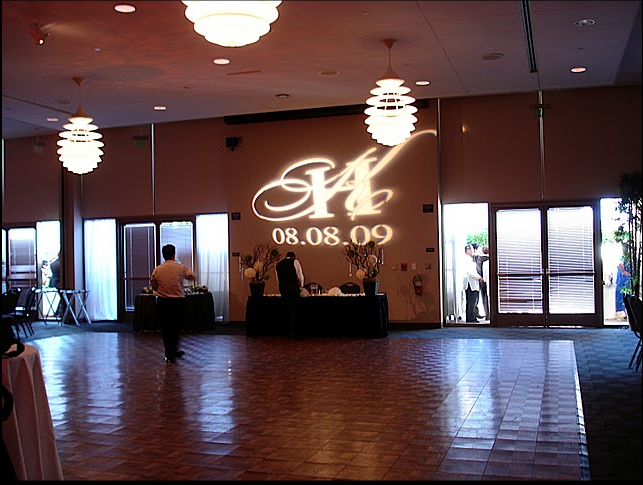 Transform your reception venue from “Ordinary to Extraordinary! 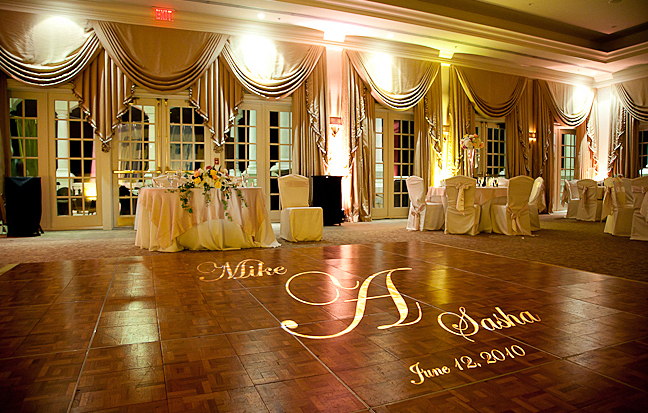 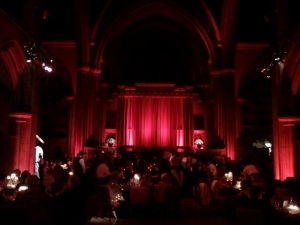 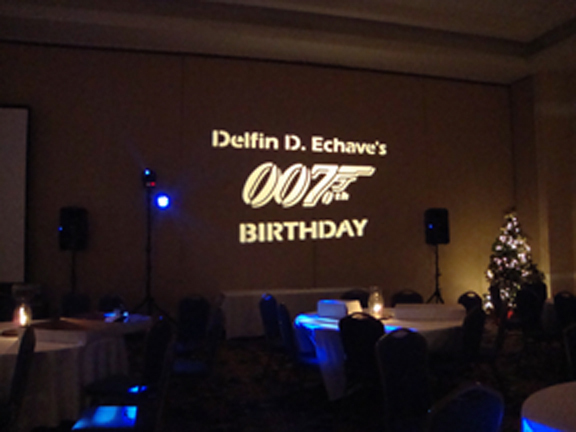 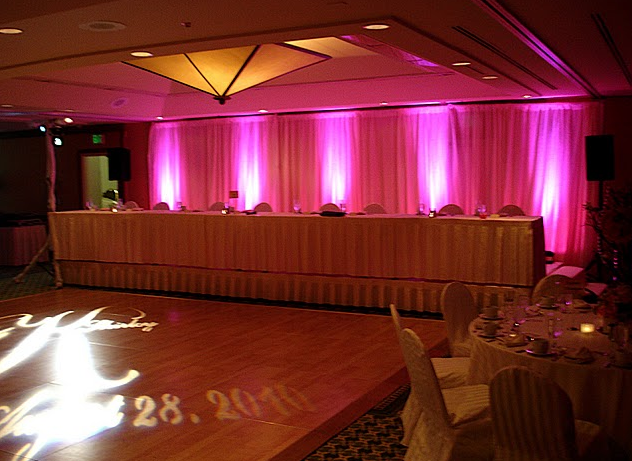 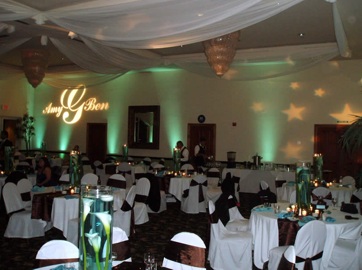 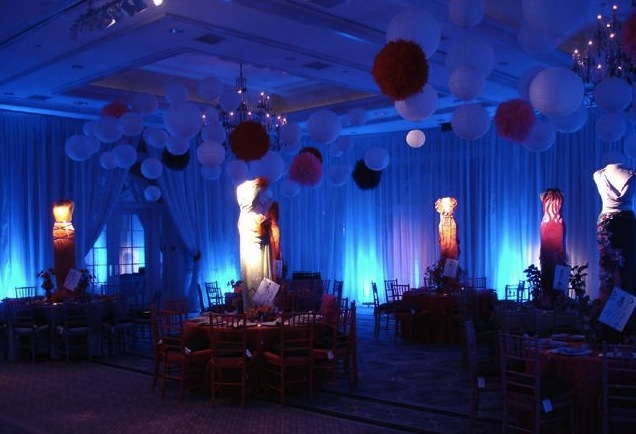 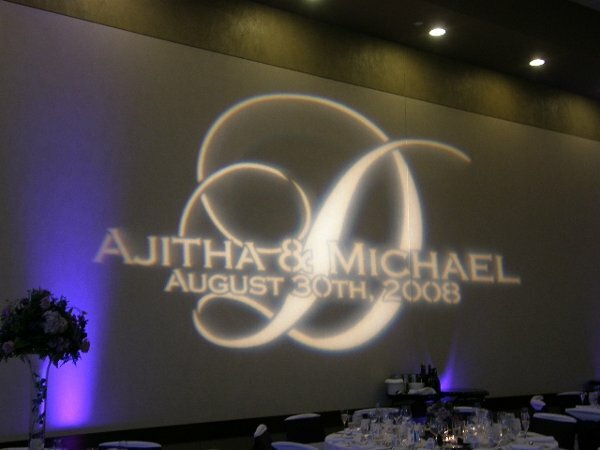 Personalize your event by projecting you name, initials, or picture on a wall or dance floor. 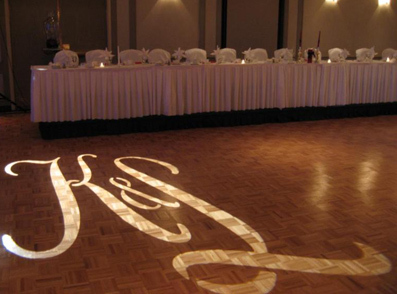 Monograms will give the event venue your personal touch. 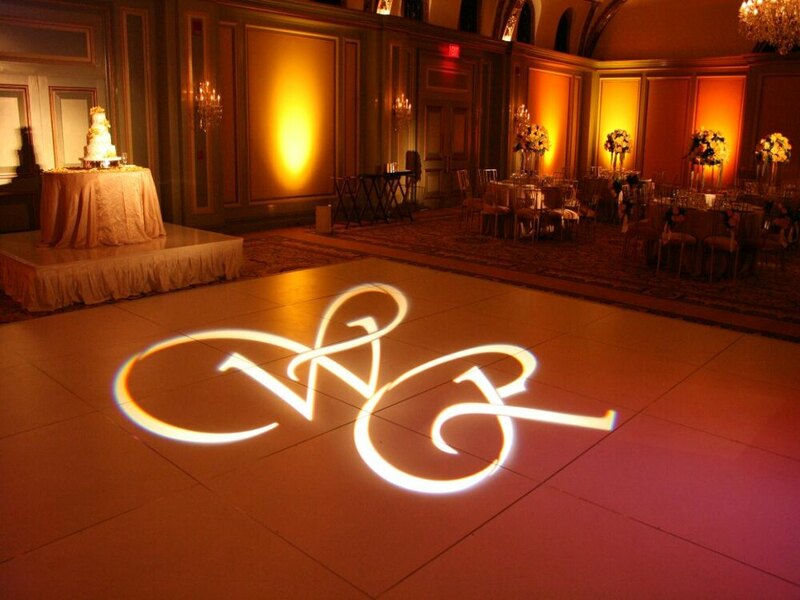 Standard monograms come in one color. 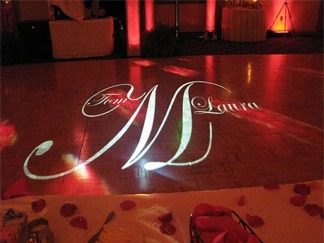 Multi-color mongrams are available at additional charge. 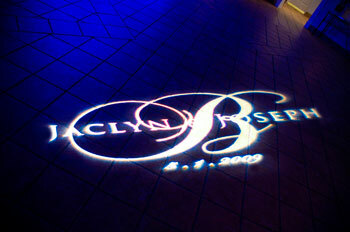 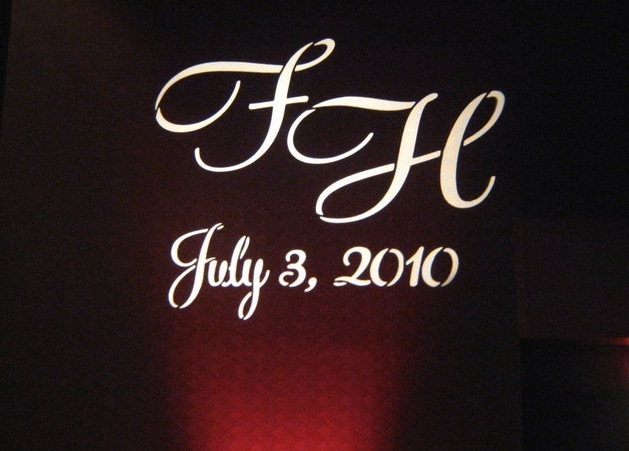 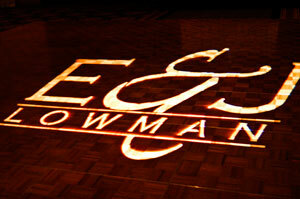 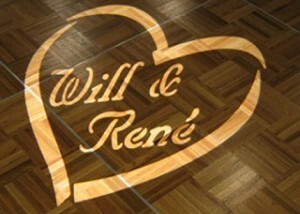 A gobo monogram will definitely provide a “WOW” factor at your venue.